Express Raider - FLYING TIGER ENTERTAINMENT, INC.
Johnny Turbo’s Arcade: Express Raider is now available on the Nintendo Switch™ eShop! LOS ANGELES, California, July 5th, 2018 — Flying Tiger Entertainment presents Johnny Turbo's Arcade: Express Raider, the ultimate Wild West shoot 'em up by Data East™. 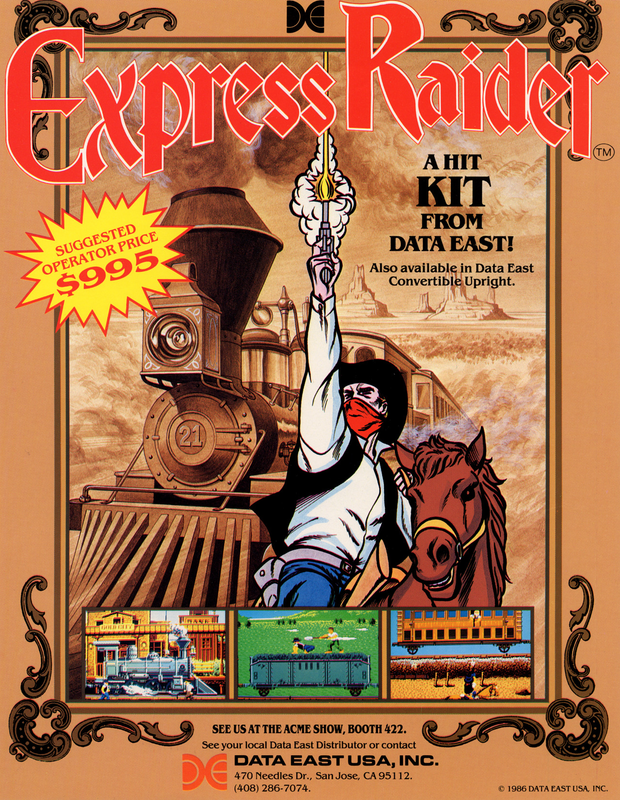 Originally released in 1986, players begin the game as a bandit in a black hat. The goal is to rob the fastest train in the West, the Gold City Express. Starting in the thick of the action, players must brawl with a banker before hopping onto the speeding locomotive. Once atop the moving train cars, players must fight their way past enemies to steal the loot. Dodging bullets, avoiding bottles and ducking under signs are just some of the obstacles encountered. Stages vary between fighting on top of the moving train cars and shooting at enemies while riding horseback. With the Real Arcade Feel, Express Raider is a test of stamina and strength, as well as gunslinger skills. 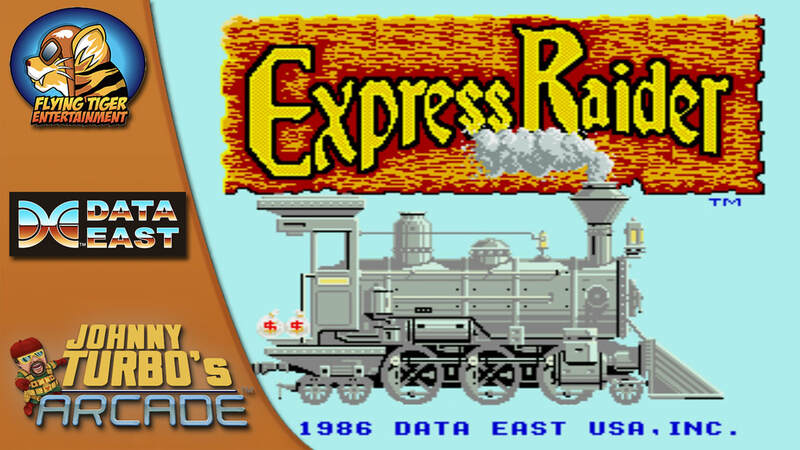 ​Express Raider is launching on July 12th, 2018 for $7.99 in North America. Coming soon in selected European territories.